He is right. The Muslim groups do more damage, but the Hindu groups are more dangerous because India has a Hindu majority. If we look at world news, Indian Muslims are actually a wonderful lot. An improving economy and greater possibilities opening up for Muslims have ensured that most Muslims in India see themselves as Indians first. Never mind what the people say. Look at Muslim friends you have. Shopkeepers, colleagues. Do you seriously think they spend time planning how to harm you? Yet, the Hindutva thoughts on Islam or Christianity color people’s outlook to the extent where they can go “Oh, you are a Christian? I didn’t know!” if they like someone before realizing his religion. As though knowing Christians automatically means that your being Hindu is under threat, or knowing Muslims means that at the first sign of a riot they will come looking for you to kill you, all of a sudden. Look at all this rhetoric and compare it with people you actually know and interact with. Its simply not true. The Hindutva guys have an utter blackout on the subject of Hindu on Hindu violence, while Muslim on Hindu violence is the big evil, Christian missionaries are absolute personifications of Satan or something. Yet Hindu extremists continue to promote Muslims as a vicious lot – changes in our society have not registered, and the projected image of Muslims remains as that from brutal killings of the partition, and other riots. This is dangerous to India even if there were not a single Muslim in it, because once a population is sensitized into finding ‘enemies’, the process takes on a life of its own, and the range of enemies and hostility takes on a life of its own after a certain critical mass, after which, it destroys the society itself. Why go far, look at Pakistan. Extremism began as a means of getting resources for an anti-India agenda, then anti-Soviets… it was never intended as anti-National – in fact its origins were highly patriotic. As India hardened its security and Afghanistan was clear of the Russians, what happened? A whole new set of enemies were born. Now we have Shias, Sufis, Ahmediyas, being attacked – even the government itself, as Taliban starts seeing wrong in what they do. It didn’t begin with bombings. It began with believing that a certain country, then a certain kind of people, etc were evil and must be resisted. The rest was simply natural progress. Already we see among many Indians a denial that what happened in Gujrat was horrible. We see all kinds of excuses ranging from “who started it” to “Hindus got killed too”. Everything except the fact that an overwhelming number of Muslims were mercilessly slaughtered. Never mind the Muslims. Heck, they are a minority anyway. What is happening to Hindus in the process? We are turning into a lot of people who think its okay to butcher people if they are bad enough. Islamic terrorism can never destroy us as thoroughly as the rot we nurture ourselves, just like India didn’t need to do much to bring Pakistan to this horrible state it is in now. And this is totally from a focus on India as a Hindu state. Even if Muslims didn’t exist, this would still be true. If a dog bites you on the street, it is insane to think its okay to bite dogs you see. Similarly, it is insane to nurture hatred in our hearts because of what someone else does. We only destroy ourselves. Rahul Gandhi is absolutely right. It is a sad thing for India that the BJP doesn’t stop to reflect and starts throwing tantrums everytime Hindu or Muslim is mentioned. BJP leader Prakash Javadekar said Gandhi’s comment shows that he wants to identify terror with religion and is ignorant about Indian civilisation. “Terror is terror, it must not be translated into vote bank politics. Terror should be investigated and guilty must be punished,” he added. If terror must be investigated and guilty proscecuted, why is there such a pandemonium each time Hindutva is so much as mentioned? When was the last time Prakash Javadekar protested against references to Islamic terrorism? With the Congress corruption and the BJP’s insanity, India is thoroughly screwed in terms of possibilities for solid leadership. How I wish that we had a political party that had the governance skills of the BJP and the inclusive perspective of the Congress. Its a bit difficult to reconcile that these two arguments come from the same person, in the same breath. We indeed aren’t incorruptible, we are human with failings and passions, and that is why after a certain point getting triggered does not remain a choice. Yeah well, lets have some projections on the number/proportion theory and weigh them against the factors that support or oppose it. It doesn’t take much to conclude that “Hindu extremism” is a romantic exaggeration of the offensive taken by *some* of the people who have been so far at the receiving end. It of course does not mean we should not do anything about these trends. But, let me ask a simple question. So if hindu extremism is a bigger threat than islamic extremism, should we put more effort, more resources to fight it, than we do against islamic or other variants? Where is the difficulty in reconciling? We are human with all its failings, passions, etc etc and we make a choice what we act on. That choice is determined by the influences on us. We can also fail as much as anyone else. Being complacent and thinking we won’t is not a great idea. I think the resources to fight terrorism should be determined by threats and intelligence inputs and needs rather than religion. After a blast, investigations need to look for criminals, not go fishing in one direction. That 32 people suffered a year and a half in jail for the crimes by the Hindutva guys in itself says that if we try and reverse the process, someone else will suffer too, or if we avoid the process, we may not catch the criminals. What was the process? The process was to tap into a Muslim mole and get info on suspicious characters and pull them in and ….? Somehow they ended up in jail. In other words, the process was a ‘back fit’ – the criminals were decided, put to prison, and then people got around to investigating what they did and found altogether different criminals. As long as we decide these things by religion, allocate resources by religion, etc, we can’t escape such mistakes, because we find what we look for. Why not just have a budget for anti-terror operations, and if any specific religious angle needs investigated, it can be allocated as per need? If there are more Muslim terrorists, there will be more Muslim investigations, but beginning with the assumption has clearly derailed our own investigative machinery. Far better to catch the criminals and let the religious zealots figure out their rhetoric. When things are left to rot, there is a time when it is no longer possible to continue testing anybody’s patience. While Babri masjid demolition was unfortunate, had the issue been resolved earlier one way or the other it probably would have been averted. With cases pending in courts and the legal ways gathering bushes and cobwebs people will ultimately start trampling all over it. Government’s incompetence and lethargy makes people finally take law into their own hands. Gujrat riots again, one must look at the events in order to even comment on them. Why single out Gujrat riot then, there have been umpteen communal riots which can be discussed for causes and consequences. Is that special because it happened under the rule of a right-wing party? Speaking of religious riots, its hard not to mention 1984 anti-sikh riots in Delhi, under the Congress. Do they have any similarity? Were they different? There is always a trigger point of any event, that could have been avoided and that must be considered before say it was bad. Forget Pakistan, we don’t need to compare us with them. But then, we are left with a situation for which we have measures to counter and contain, which has no real future to deteriorate too further, while majority of us are quit sane or reluctant or tolerant to not make it grow to disproportionate levels. Sheer numbers don’t mean it will have an avalanche effect. If it were true, more numbers of muslims in India would have followed the path of Pakistani muslims and that too faster. And there are even more hindus, having lived under the islamic sword for almost 8 centuries and still not graduated to a “violent lot”. Indeed not. We do know, and acknowledge the terrorism that is taking roots in our society, but to fight it we must not get paranoid over it. Overestimating its strength and extent will only have us expend more resources and attention towards it and lesser towards the real and bigger one, which has near perpetual finance and support from the other side. Yes something needs to be done to contain it, but its also a comfort in many ways to know that there is not much scope for it to grow. We aren’t even “little like that”, we are fundamentally different. Again, the Hindu terrorism as we see it is more of a closed, patchy effort than a highly organized discipline. Its not even “inspired” by religion much less patriotism. Its a way of saying “enough is enough” of a certain group of people, a way which should be criticized and discouraged right at its roots. The “little like that” does not apply to the society as a whole but some individuals which does not make much of an impact. Its evident in the fact that there has been only one major incident of violence to their credit over the years, while their adversaries keep scoring week after week on the other side. Yes we do have dangerous enemies within us, the likes of Bajarang Dal and Sambhaji Brigade whose bread and butter is hatred towards one or more communities. These guys simply cannot do anything constructive. I say “Hindu terrorism” is a paranoid hyperbole of people who have no confidence in their own society. Or just a political slur. I think Rahul Gandhi is a went too far in overplaying Hindutva terrorism. And comparing us to Pakistan is underplaying what Hindutva really means. I hope you know that I am not a supporter of Hindutva movement, but I don’t like to stretch things too far, so far that they start looking ridiculous. I have mentioned earlier that whatever Hindu terrorism is, its is some hindu idiots trying to pay back in the same coin. It would never grow to the scale and intensity islamic terrorism has grown. If you cite the Pakistani example of how a nation was conditioned to believe everybody else was their enemy, the argument falls apart right there. Although the movement was supposed to be patriotic it has the wheels of religion, which unfortunately lends itself and even support hostility and instill xenophobia. Basically, we were never a theocratic state, none of us are as religious as Pakistani muslims, we hardly work for pleasures of after-life, martyrdom isn’t exactly sanctioned and encouraged by the religion, our governments do not need a anti-Pakistan or anti-anything rhetoric to stay in power, fortunately our military does not interfere in politics and so on. There are a host of reasons that make the very comparison with Pakistan questionable. 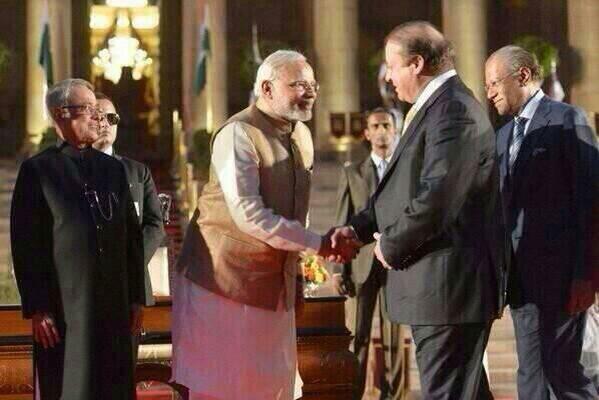 Ergo, we aren’t going the Pakistan route. As for Indian muslims, having lived in a secular society they are much more open and accommodating compared to Pakistani muslims, except a few who get carried away by the religious recruiters. I appreciate the fact that most of them call themselves Indians first and then muslims. To put it simply, Rahul Gandhi over-estimated the the extent of potential of Hindu terrorism too early. And the reasons he may have I am sure won’t be the same as you. While your reasons seem logical and quite acceptable prima facie it would be good to know *his* reasons for his statement before making any opinion. Perhaps whatever you have written above are only your opinions, and Rahul Gandhi may have been merely undermining the right, making this a routine political statement. If he really had any more substance in it, he could have spoken it in public, rather than making it a private conversation with a foreign diplomat. He has criticized VHP, BJP and RSS much more strongly earlier. Rahul Gandhi didn’t show any paranoia. He simply said what he said. He was not speaking in an official capacity. It was an opinion, like you and me are sharing here. What followed its becoming known was pandemonium by the BJP, which has an unfortunate tendency to get all incoherent at the sound of words like Hindu, Muslim, Christian, Pakistan, etc. What was said doesn’t matter. If it was congress, they said something damaging to the national integrity. From then on, its their canned tape for every occasion. Apparently the Congress lives in a different country or something and the BJP are the true Indians. This isn’t paranoia, unless you count the BJP response. Yes, there were other communal riots. They were all a bad sign for India, as were the Sikh riots, and taken collectively, this history is an important reminder that we must not be complacent that we are an incorruptible culture. We aren’t. We are human with all its failings, passions and desires to triumph. I am not being paranoid either, I am only bringing that slippery focus back on target. The trigger point argument is quite strange coming from someone as analytical as you in normal circumstances. Getting triggered is a choice. Someone else can’t control our actions. They triggered us, and therefore we massacred is as inhumane and irresponsible as saying she wore a short skirt, therefore she got raped. Or for the Muslims to say, they made cartoons of our prophet, therefore, kill them. “Not my fault. THEY forced me to do something horrible.”. Whatever the reasons they chose to react to, their actions were their own. Not that you don’t know all this, just reminding. Sheer numbers don’t mean an avalanche effect. It simply means that one in a thousand in a population of a lakh people is 100. One in a million in a population of billion is a 1000. Check out the vastly smaller ratio, and still the impressively larger result. It doesn’t need to avalanche – one nationwide strike can create an impressive beginning itself. In fact, in a country of our size, even if half of them give up saying that its too much, we can’t deal, still we have an astounding number of people. But I think I am repeating myself. You know Girish, looking at the mess in Pakistan and protesting it, somewhere, unconsciously, it has become a kind of gold standard for terrorism. But when the scale is of undesirable things, we should not be comparing ourselves with the winner, but the lowest on the rung. I agree with you that the Hindutva extremism has not reached and possibly will never reach that zenith, which is a good thing. But are 4 blasts better than 40 blasts? That is a stupid question. Why not stop them all? I don’t think Rahul Gandhi underestimates the issue. We are the same people that thought nothing of taking the law in our hands to demolish the Babari Masjid. We do have the Gujrat riots in our history. And now we have this. Don’t you see the increasing sophistication? From damage to property, we went to damage of people. From damage of people, we went to covert damage of people. It is totally a pretense to say this escalation does not exist. It is also a pretense to say that left alone, it has some natural ceiling because it doesn’t belong to a specific religion. We have more Muslims than Pakistan, and even more Hindus than Muslims. Even if the percentage of people supporting is smaller, we have sheer numbers to make it a significant danger quite fast, unless we are decisively against it. I agree with what you are saying, if at all we consider Pakistan a worthy measure of the direction of our growth. I think that we need to be fighting terrorism taking hold in our society rather than justifying it for its lack of scope or origins in retaliation, or lack of widespread support. 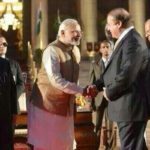 I realize that my examples of Pakistan may seem like an invitation to compare, but I think Pakistan is unique in terms of the extents it achieved for a variety of reasons. I am using them as a visible example, but if we are to say “oh, we are not that bad, we are just a little like that”, then we are going to become a horribly criminal country before we even think there is comparison. Is it really an ambition worth having? On a more serious note, I would find it useful to know why you disagree rather than the fact that you do. How can it be seriously immature? Surely immaturity would at least have the decency to be frivolous? I thank you for reading it anyway. Your article is seriously immature. 🙂 That’s interesting trivia. Girls can stop drooling, eh? … not that its any of our business.